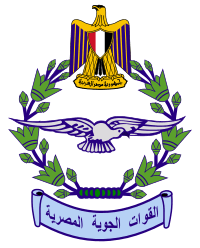 The Egyptian Air Force (EAF) (Arabic: القوات الجوية المصرية‎‎, El Qūwāt El Gawīyä El Maṣrīya), is the aviation branch of the Egyptian Armed Forces, is responsible for all airborne defence missions and operates all military aircraft, including those used in support of the Egyptian Army, Egyptian Navy and the Egyptian Air Defense Forces, created as a separate command in the 1970s, coordinates with the Air Force to integrate air and ground-based air defense operations. The EAF is headed by an Air Marshal (Lieutenant General equivalent). Currently, the commander of the Egyptian Air Force is Air Marshal Younes Hamed. The force's motto is 'Higher and higher for the sake of glory' (Arabic: إلى العلا في سبيل المجد‎‎, I‘la’ al-a‘là fī sabīl al-magd). The Egyptian Army Air Service was formed in 1932, and became an independent air force in 1937. It had little involvement in the Second World War. From 1948 to 1973 it took part, with generally mediocre results, in four separate wars with Israel, as well as the quasi-War of Attrition. It also supported the Egyptian Army during the North Yemen Civil War and the Libyan-Egyptian War of 1977. From 1977 to 2011 it saw virtually no combat, but has participated in numerous exercises, including Operation Bright Star. Since 1992 the EAF has also provided aviation support for the police and other national security organizations engaged in the war against terrorism. In recent years the Air Force has acted in the Sinai Insurgency, the Second Libyan Civil War and the Intervention in the Yemen. The EAF primary role is the air defence of the nation, with secondary tasks of strike and army support operations. The EAF provides official government transport and carries out international search-and- rescue operations in the desert, the Mediterranean Sea, and the Red Sea. In 2014 the IISS estimated the total active manpower of the Egyptian Air Force at approximately 30,000 personnel, including 10,000 conscripts, with reserves of 20,000 personnel. This contrasts with an estimate of some 35,000 personnel, with most aircrew being long-term professionals, in 2010. In late 1928, the Parliament of Egypt proposed the creation of an Egyptian Air Force. The Egyptian ministry of war announced that it needed volunteers for the new arm to become the first four Egyptian military pilots. Over 200 Egyptian officers volunteered, but in the end only three succeeded in passing strict medical tests and technical examinations. These three went to No. 4 Flying Training School RAF at RAF Station Abu Sueir near the Suez Canal, where they were trained on a variety of aircraft. After graduation, they traveled to the United Kingdom for specialised training. 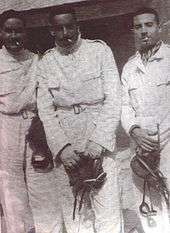 On 2 November 1930, the King of Egypt and Sudan, Fuad I announced the creation of the Egyptian Army Air Force (EAAF). On 27 May 1931 the Egyptian Council of Ministers approved the purchase of five aircraft and the building of an airfield at Almaza with a budget of 50,000 pounds. The aircraft chosen was the British de Havilland Gipsy Moth trainer, the five modified aircraft were flown from England to Egypt and on arrival in May 1932 the air force was founded and the Almaza airfield was formally opened. The first commander of the EAAF was Squadron Leader Victor Hubert Tait RAF, a Canadian, former Senior Air Advisor on the British Military Mission in Egypt. Tait selected staff, weapons and initiated building a number of airfields. In 1934 the British government provided ten Avro 626 aircraft, which were the first real Egyptian military planes. A further 17 626s together with Hawker Audaxes for army cooperation and close support and Avro Ansons for VIP work followed shortly afterward. In 1937 the Egyptian Army Air Force was separated from the Army Command and became an independent branch named the Royal Egyptian Air Force (REAF). New stations were built in the Suez Canal Zone, and the Western Desert. During 1938 the REAF received two squadrons of Gloster Gladiator biplane fighters and a squadron of then-modern Westland Lysander reconnaissance aircraft, Egypt was the last state to use the Lysander in action, during the 1948 Arab-Israeli War. 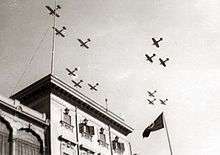 Egyptian airplanes flying over Koubbeh Palace in celebration of King Farouk I and Queen Farida's wedding. As the Egyptian border was threatened by an Italian and German invasion during the Second World War, the Royal Air Force established more airfield in Egypt. The Royal Egyptian Air Force was sometimes treated as a part of the Royal Air Force, at other times a strict policy of neutrality was followed as Egypt maintained its official neutrality until very late in the war. As a result, few additional aircraft were supplied by Britain, however the arm did receive its first modern fighters, Hawker Hurricanes and a small number of Curtiss P-40 Tomahawks. In the immediate post-war period, cheap war surplus aircraft, including a large number of Supermarine Spitfire Mk.IXs were acquired. A roughly 1946 order of battle for the Air Force can be found in Jane's Fighting Aircraft of World War II. Following the British withdrawal from the British Protectorate of Palestine and the establishment of the State of Israel on 14 May 1948, Egyptian forces crossed into Palestine as part of a wider Arab League military coalition in support of the Palestinians against the Israelis. The Egyptian Air Force contribution included the Short Stirling bomber, Douglas C-47 Dakotas performing as light bombers and Spitfires. 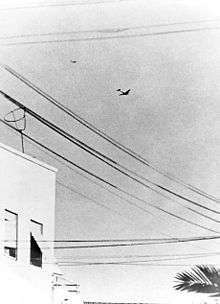 Two Israeli aircraft were shot down and on 22 May 1948, Egyptian Spitfires attacked the RAF Ramat David airfield, believing that it had already been taken over by Israeli forces. The first raid surprised the British, and resulted in the destruction of several RAF aircraft on the ground, and the deaths of four airmen. 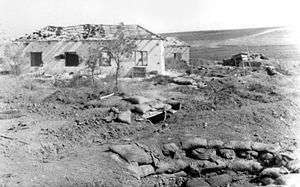 The British were uncertain whether the attacking Spitfires had come from Arab or Israeli forces. When second and third raids followed shortly afterwards, the British were ready and the entire Egyptian force was shot down – the last aircraft being baited for some time as the RAF pilots attempted to get a close look at its markings. Relations with Britain were soon restored and the official state of war with Israel ensured that arms purchases continued. New Spitfire Mk. 22s were purchased to replace the earlier models. In late 1949, Egypt received its first jet fighter, the British Gloster Meteor F4 and shortly after de Havilland Vampire FB5s. During the display in Almaza, probably in September 1956, all the new types of aircraft purchased from Czechoslovakia and the USSR were shown, including - clockwise: MiG-17F, MiG-15bis, Il-28, Yak-11, Zlin 226, and two Mi-1 helicopters. 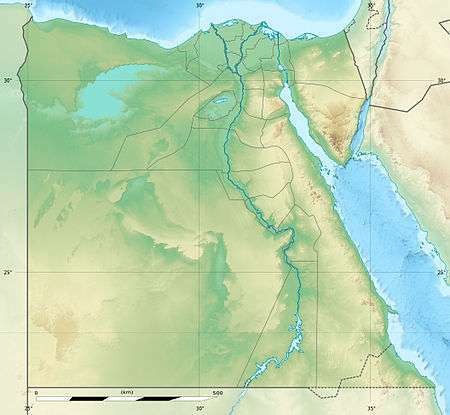 After the Egyptian Government's nationalisation of the Suez Canal in 1956, Egypt was attacked by Israel, France, and the United Kingdom in what came to be known as the Suez Crisis ("Tripartite Aggression" in Egypt). 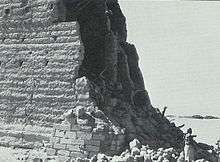 Heavy losses were sustained by the Egyptian side. The conflict, though devastating militarily, turned out to be a political victory for Egypt, and resulted in the total withdrawal of the aggressor forces from the country. It also forced the EAF to begin rebuilding with non-British help. 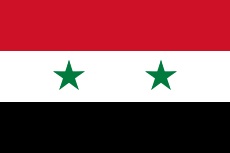 In 1958, Egypt merged with Syria to form the United Arab Republic, and the previously separate Egyptian, and Syrian forces were combined as the United Arab Republic Air Force. Though Syria left the union in 1961, Egypt continued to use the union's official name until 1971, including for its air force. A formation of five brand-new EAF Il-28 bombers, seen at low level over Cairo during a parade in September 1956. By the mid-1960s, British aircraft had been replaced completely by Soviet hardware. The Soviet Union became the principal supplier of the EAF, and many other Arab states. This allowed the EAF to greatly modernise and boost its combat effectiveness. The MiG-21 Fishbed arrived in the early 1960s, bringing with it a Mach 2 capability. The MiG-21 would remain Egypt's primary fighter for the next two decades. In 1967, Egypt had 200 MiG-21s. The EAF also began flying the Sukhoi Su-7 fighter/bomber in the mid-1960s. Egypt also began the Helwan HA-300 as its first supersonic aircraft. It never went beyond three prototypes and initial test flights, then was abandoned due to high military cost inflicted upon the Egyptian military involvement in the Yemen War and the defeat in the 1967 war with Israel. The Yemeni Royalist side received support from Saudi Arabia and Jordan, while the Yemeni Republicans were supported by Egypt. The fighting was fierce, featuring heavy urban combat as well as battles in the countryside. Both foreign irregular and conventional forces were also involved. Strategically, the Yemen War was an opportunity for Israel. It stagnated Egyptian military plans for the reinforcement of Sinai, by shifting the Egyptian military focus to another theater of operation. Egyptian historian Mohammed Heikal writes that Israel provided arms shipments and also cultivated relationships with hundreds of European mercenaries fighting for the Royalists in Yemen. Israel established a covert air-supply bridge from Djibouti to North Yemen. The war also gave the Israelis the opportunity to assess Egyptian combat tactics and adaptability. Egyptian air and naval forces began bombing and shelling raids in the Saudi southwestern city of Najran and the coastal town of Jizan, which were staging points for royalist forces. In response, the Saudis purchased British Thunderbird (missile) surface-to-air missiles and developed their King Khalid airfield near Khamis Mushait. Riyadh also attempted to convince the United States to respond on its behalf. In Operation Hard Surface, President Kennedy sent jet fighters and bombers to Dhahran Air Base from May 1963, demonstrating to Egypt the seriousness of his commitment to defending U.S. interests in Saudi Arabia. 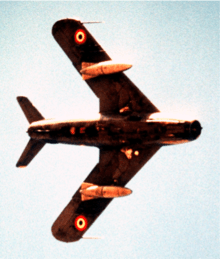 In the 1967 Six-Day War the EAF's combat capacity was severely damaged after the Israeli Air Force destroyed its air bases in a preemptive strike codenamed Operation Focus. During the last four days the EAF conducted only 150 sorties against Israeli units throughout the Sinai. After the war, the Soviet Union replenished EAF stocks, sending large numbers of aircraft and advisors to Egypt to revitalise the EAF. During the Nigerian Civil War, Nigeria received support from Egypt, as Abdel Nasser sent Egyptians pilots. Pilots were provided to fly the aircraft procured by the Soviet Union, air force Mikoyan MiG-17 fighters and Ilyushin Il-28 bombers. The Egyptian conscripts frequently attacked civilian rather than military targets, bombing numerous Red Cross shelters. The years between 1967 and 1970 involved a prolonged campaign of attrition against Israel. The EAF went through a massive construction program to build new air bases in order to increase its survivability. During this period Egypt also received replacements for losses it suffered during the Six Day War. The EAF was the first branch of the Egyptian armed forces to achieve full combat readiness. On 15 July 1967, six Israeli Mirage III fighters violated Egyptian airspace and orders were given for two formations each consisted of two MiG-21 fighters to intercept, another formation of 2 MiGs piloted by Major Fawzy Salama & Lieutenant Medhat Zaki was ready in West Cairo airbase. Indeed, the formation took off, but for protecting the airbase rather than supporting the interception. During the initial surprise air attack of the Yom Kippur War, over 220 EAF aircraft took part. Unlike their Syrian counterparts, EAF aircraft evaded Israeli radars by flying below detection height. EAF aircraft were held in reserve after that point, mainly concentrating on airfield defence in conjunction with the SA-3 'Goa', while the more mobile SA-6 'Gainful' protected Egyptian forces at low and medium level, aided by the ZSU-23-4SP and shoulder-held SA-7 SAMs. Despite these limitations, the EAF conducted offensive sorties from time to time. The Su-7BM was used for quick strafe attacks on Israeli columns and the Mirage IIIE (sometimes confused with the Mirage 5), donated by Libya, carried out long-range attacks deep inside Sinai at Bir Gifgafa. However, when Israeli armoured forces used a gap between the two Egyptian armies to cross the Suez Canal (Operation Stouthearted Men), they destroyed several Egyptian SAM sites, forcing the EAF into battle against the IAF. The EAF claimed victories and continued to contest IAF operations, while also launching attacks on Israeli ground forces on the East Bank of the Suez Canal. In most of these engagements, Egyptian MiG-21s (of all types) challenged Israeli Mirage IIICJs or Neshers. The IAF did not operate freely and did not have complete air supremacy it enjoyed during the previous conflict, the 1967 war. Egyptian MiGs were used with better efficiency than before which included the tactics and lessons learned from the 1967 war. It was during this war that the EAF applied the lessons it earlier learnt from the Israelis. A 32-year-old deputy MiG-21 regiment commander who has been flying since he was 15 recalls: "During the war of attrition, the Israeli air force had a favorite ambush tactic", he told Aviation Week and Space Technology. "They would penetrate with two aircraft at medium altitude where they would be quickly picked up by radar, We would scramble four or eight to attack them. But they had another dozen fighters trailing at extremely low altitude below radar coverage. As we climbed to the attack they would zoom up behind and surprise us. My regiment lost MiGs to this ambush tactic three times. But we learned the lesson and practiced the same tactics. In the final fights over Deversoir, we ambushed some Mirages the same way, and my own 'finger four' formation shot down four Mirages with the loss of one MiG." The Egyptian Air Force commander during the war was then-Air Marshal Hosni Mubarak. On 14 October 1973 one of many Egyptian/Israeli air engagements took place. Initial Egyptian claims were that 15 Israeli aircraft had been destroyed. Israel to this day lists no pilots killed on 14 October. Mubarak thereafter altered documents and even photographs from the engagement, creating the "Air battle of Mansoura". Later on, the Egyptian Government changed the country’s "Air Force Day" from 2 November to 14 October, to commemorate the Mansourah air battle. Mubarak was even promoted and feted as a national hero after the war, seemingly principally due to his pilots' ability to hit their target during the initial air attack. During the Shaba I crisis in Zaire on 1977, Egyptian Air Force provided 50 pilots and technicians, which operated Mirage jets from the Zairian Air Force. During the 1977 Libyan-Egyptian War, there were some skirmishes between Libyan and Egyptian fighters. In one instance, two Libyan Air Force MiG-23MS engaged two EAF MiG-21MFs that had been upgraded to carry Western weaponry. The Libyan pilots made the mistake of trying to manoeuvre with the more nimble Egyptian fighters, and one MiG-23MS was shot down by EAF Maj. Sal Mohammad, while the other Libyan aircraft used its speed advantage to escape. From 1985 the EAF was involved in the joint U.S.-Egyptian biannual Exercise Bright Star. The Egyptian Air Force operated on a large scale during the Sinai insurgency which commenced in 2011. AH-64 Apache helicopters and F-16 jet fighters bombed numerous militant targets on almost a daily basis. 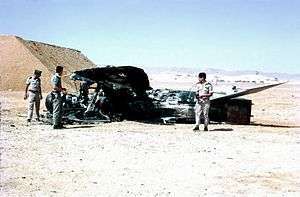 During the Second Libyan Civil War there were conflicting reports that Egyptian warplanes bombed Islmaist militias in support of the government based in Tobruk. The foreign ministry denied any involvement in the conflict although unnamed Egyptian military officials claimed otherwise. Egypt tightens security on Libyan border following mysterious air strikes. Egyptian forces near the Libyan border have been put on high alert following air strikes on 2016 Jan. 10 from unidentified fighter jets inside Libya. The fighter jets struck Islamic State of Iraq and Levant (ISIL) targets inside Libya, according to news reports. The Libyan coastal city of Sirte has served as ISIL’s capital in North Africa since the terror group seized the city last summer. After receiving three MiG-21MFs and three Mi-8s from Egypt just half a year ago, it appears the Libyan Air Force is now further strengthened by two MiG-21MFs from the same source. The former EAF mounts are a welcome addition to the under-equipped Libyan Air Force, which is currently waging a war against Libya Dawn, Ansar al-Sharia and even the Islamic State, the latter centered around the Libyan city of Derna. On March 6, 2016, Egypt and France began on Sunday a joint military exercise termed as the “Ramses-2016” in the coastal city of Alexandria along the Mediterranean. The French nuclear-powered aircraft carrier Charles de Gaulle is steaming through the Red Sea on its way to the Mediterranean via the Suez Canal for joint maneuvers with the Egyptian air force and navy in preparation for a reduced coalition offensive against Islamic State’s deepening grip on Libya. The February 2015 Egyptian airstrikes in Libya against Islamic State of Iraq and the Levant (ISIL) positions in Libya took place on February 16, 2015, and were triggered by a video released by ISIL in Libya a day earlier, depicting the beheading of 21 Coptic Christians from Egypt. Within hours, the Egyptian Air Force responded with airstrikes against ISIL training camps and weapons stockpiles in retaliation for the killings. Warplanes acting under orders from the Libyan government also struck targets in Derna, reportedly in coordination with Egypt. The air strikes had allegedly killed up to 81 ISIL militants, including three of the leadership, in the coastal cities of Derna and Sirte. Libyan media reported that at least 35 more Egyptians had been rounded up by ISIL in retaliation for the air raids. Egyptian Air Forces are participating in a Saudi-led joint regional military operation to halt the advance of Shia Houthi rebels in Yemen, Egypt’s presidency announced on 2015 March 25 in a statement. the Egyptian Air Force participated in airstrikes against Houthis in Yemen. Egypt’s military participation “through elements of the Egyptian air and navy forces” aims to support the Saudi-led regional coalition to restore stability in Yemen “under legitimate leadership”, according to the Egyptian presidency’s statement. The Egyptian air force supported pro-government forces when they attacked Al Anad Air Base in the south of Yemen. "EAF and paratroopers aerial supported Yemeni ground forces who have now seized the military base killing scores of Houthi rebels". Silver Stars is the Egyptian Air Force aerobatic display team flying 10 K-8E Karakorum jet trainer aircraft painted in white, red and black colors. All planes are equipped with white, red and blue smoke generators. During the shows, the Silver Stars performs eight different formations along with several single aircraft passes. Aircraft #6325 (Star 1) carries the name "Mostafa" after the team leader. Another team's planes also carried the pilots names painted at the K-8 nose. All pilots are flying instructors at the Egyptian Air Academy based in Belbeis Airport. The Egyptian Air Force demonstration team "The Silver Stars" was formed in the mid of 1974 to participate at "October War" anniversary. Pilots of the team were flying instructors at the Air force College and flew four L-29 planes painted in dark green and brown and yellow - standard color scheme. In 1984, the Sliver Stars aerobatic team switched to six Alpha Jet training airplanes. In the following year, team's planes became nine. In 2003, the team made the switch to the K-8E Karakorum trainer and from 2005 was led by Group Captain Mostafa Fathi. Since 2010, the team is now flying ten aircraft - nine plus one solo. The Camp David Accords caused a gradual change in the overall composition of the EAF. The EAF began to rely more on US, French and in some cases on Chinese aircraft. The addition of these aircraft from multiple sources along with the ones already in the EAF inventory caused increasing serviceability problems. In 1982, the EAF began receiving General Dynamics F-16 Fighting Falcon fighters under the Peace Vector Program. As of 2015, the EAF received a total of 220 F-16s. 18 aircraft were lost in accidents and 7 F-16A/Bs were grounded. These grounded F-16A/Bs were later overhauled, upgraded and returned to active service, additional F-16s were acquired to replace those lost. In 1986, the EAF received the French Mirage 2000 fighters, one was lost in a training accident. Egypt also license-built Alphajets, Tucano airplanes and Westland Gazelle helicopters. In 1987 the E-2C Hawkeye Airborne Early Warning (AEW) entered service and was upgraded with advanced AN/APS-145 radars. 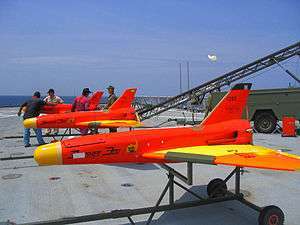 The EAF also upgraded its F-16 fighters to C/D standard that enabled them to fire the AGM-84 Harpoon anti-ship missile. The EAF currently operates 46 AH-64 Apache attack helicopters 36 of which were initially delivered as the AH-64A variant but were later upgraded to AH-64D standard. On 22 May 2009, Egypt requested the purchase of 36 Apache Arrowhead sensor systems as part of an order for 12 Block II AH-64D Apache helicopters. The number was later reduced to 10 Helicopters. 74 Grob G-115's and 120 K-8 Karakorum trainers were also ordered. Egypt made several deals with Ukrainian companies for the modernization of its old MiG-21 fleet but these deals were not implemented and no future plans to modernize the fleet of Mig-21s were put in place. On 3 March 2010, the EAF ordered 20 Lockheed Martin F-16C/D Block 52 aircraft. The contract was set to complete in 2013 and included 16 single-seat F-16C and four twin-seat F-16D aircraft. On 14 August 2012, the US Defense Department awarded a major contract to facilitate the procurement of F-16s by the EAF. The Pentagon selected American International Contractors for a $66.6 million contract to upgrade infrastructure for Egypt’s order of 20 F-16 Block 52 aircraft, estimated at $2.2 billion. On 24 July 2013, the U.S. announced it would halt deliveries of the F-16s in response to the 2013 Egyptian coup d'état. In March, 2015 the US announced the resumption of the deliveries of the F-16s, the last of which was delivered in October, 2015. On 16 February 2015, Egypt became the Rafale's first international customer when it officially ordered 24 Rafales, as part of a larger deal (including a FREMM multipurpose frigate and a supply of missiles) worth US$5.9 billion (€5.2 billion). In July 2015, the official ceremony, marking the acceptance by Egypt of its first 3 Rafales, was held at the Dassault Aviation flight test center in Istres. In January 2016, Egypt received three more Rafale fighters, raising the number of Rafales in service to six. All six aircraft are two-seat models and were diverted from delivery to the French Air Force; Egypt's total 24-plane order is for 8 single-seat models and 16 two-seaters. In April 2014, it was reported that Egypt plans to order 24 MiG-35 fighters as part of an arms deal. MiG head Sergei Korotkov said at the 2015 Aero India exposition they will provide the fighters if Egypt orders them and are ready to negotiate. Russia agreed on a contract with Egypt for 50 MiG-35 fighters and is expected to be worth up to $2 billion. Russia plans to supply the Egyptian MiG-35s with 40 high precision targeting pods. Deliveries would begin in 2016. Russia and Egypt signed a contract for delivery of 50 Ka-52 helicopters. The Ka-52 will be equipped with the new OES-52 targeting system allowing it to launch Vikhr and Ataka anti-tank missiles using laser target direction systems. The execution of the contract will start in 2016 until 2018. SAGEM and AOI-Aircraft Factory have signed a collaboration agreement concerning the Patroller UAV. AOI-Aircraft Factory could handle final assembly of the drones and will develop a dedicated training center in Egypt to train staff for the operation and maintenance of the drone systems. On 18 April 2016, Egypt signed a contract with France for the sale of a military telecommunications satellite after discussions between the Egyptian and French presidents and between the Ministers of Defence, which took place during a visit by French President Francois Hollande to Cairo. The satellite will be supplied by Airbus Defence and Space and Thales Alenia Space. The price of the contract wasn't announced but is estimated at around 600 million euros. In December 2015, Russian Helicopters agreed to provide after-sales service and maintenance for the Egyptian Air Force's fleet of 41 Mi-8Ts and 3 Mi-17-1V helicopters in Russia. Under the agreement, the Egyptian repair plant at Helwan Factory (HFDI), an enterprise owned by the Arab Organization for Industrialization, will be authorized as an aircraft repair plant able to carry out comprehensive repairs to Mi-8T, Mi-17-1V and Mi-17V-5 helicopters operated in Egypt. In order to support repair work to the frames, components, gears and rotor systems in the helicopters, the company will deliver equipment for the production line, provide design and technical support and transfer all the necessary documentation to the Egyptian side for a two-year period. Egyptian specialists will be trained to carry out such repairs at the company’s Novosibirsk Aircraft Repair Plant. In September 2016, Russian Helicopters delivered the first 3 refurbished Mi-8T helicopters to the Egyptian Air Force after a major overhaul. The company also announced that the necessary equipment for the retooling and upgrading of the Helwan Factory aircraft repair plant had been prepared for shipment and that the Egyptian service technicians had completed training. An Egyptian order for Airbus A400M military transport aircraft is looking increasingly plausible. Egypt is in an advanced stage of negotiations for the purchase of the Russian strategic airlifter Il-76MD-90A. The first export contracts of the aircraft were to be signed within 4–6 months after the MAKS-2015 Airshow. 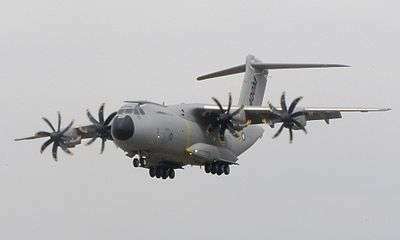 Airbus Defence and Space received from Egypt its first order of A400M. Egypt asked the company to have the A400M as soon as possible. Rosoboronexport and the Russian Helicopters holding are engaged in consultations with their Egyptian partners concerning a possible acquisition of Kamov Ka-52K ship-based helicopters for the 2 Mistral-class helicopter carriers that Egypt has agreed to buy from France. An Egyptian Air Force delegation had access to the helicopter before the official opening of the MAKS- 2015. 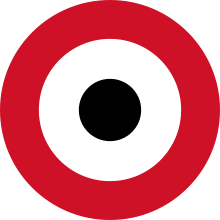 The Roundel of the EAF consists of three circles, with the outside one being red, the middle one white, and the inner one being black, matching the Egyptian flag. Former roundels of the EAF included a similar variant with two green stars used from 1961 to 1973, and one with the old Egyptian crescent and three stars on a green background. Changes in markings reflect political changes. 1 2 3 4 International Institute for Strategic Studies (3 Feb 2014). The Military Balance 2014. London: Routledge. pp. 315–318. ISBN 9781857437225. ↑ "waf2016.pdf". WORLD AIR FORCES 2016. Retrieved 2016-02-02. ↑ Nicolle, David; Sherif Sharmy (24 September 2003). "Battle of el-Mansourah". Middle East Database. Air Combat Information Group. Retrieved 5 January 2009. ↑ "Chief of Air Staff". Egyptian Ministry of Defense (in Arabic). Retrieved 20 July 2014. ↑ Crawford, Alex. "Stirlings in Egypt". ACIG.org. Retrieved 30 January 2013. ↑ "Dassault Mirage IIICJ (Shahak) - Jewish Virtual Library". Retrieved 24 December 2014. ↑ "Mig-21". Retrieved 24 December 2014. ↑ "Egypt Daily News". Retrieved 24 December 2014. ↑ Khalid, Osama (26 February 2011). ابنة الفريق سعدالدين الشاذلى لـ"المصري اليوم": "مبارك" زوّر التاريخ ووضع صورته مكان والدى فى "غرفة عمليات أكتوبر". Almasry Alyoum (in Arabic). Retrieved 6 April 2012. ↑ Ogunbadejo, "Conflict in Africa" (1979), p. 227. ↑ "Libya & Egypt, 1971-1979". Retrieved 24 December 2014. ↑ "The longest battle in North Sinai: Egypt's army fights back against IS assaults - Politics - Egypt - Ahram Online". english.ahram.org.eg. Retrieved 2016-03-07. ↑ "Egypt Warplanes Bombing Islamist Militias In Libya: Officials". The Huffington Post. 15 October 2014. Retrieved 13 April 2015. ↑ "Egypt tightens security on Libyan border following mysterious airstrikes | Egypt Independent". www.egyptindependent.com. Retrieved 2016-03-07. ↑ "Libya: mysterious air-strikes on Derna". ww4report.com. Retrieved 2016-03-07. ↑ "The mysterious Libya air strikes are a sign of America's waning power in the Middle East – Telegraph Blogs". News - Telegraph Blogs. Retrieved 2016-03-07. ↑ "Libyan Pilots Bombing Benghazi In Egyptian Aircraft? Highly Unlikely, Experts Say". International Business Times. Retrieved 2016-03-11. ↑ "Egypt's Got Plans for Libya". warisboring.com. Retrieved 2016-03-11. 1 2 "French nuke carrier for sea-air drill with Egypt ahead of Libya offensive". debka.com. Retrieved 2016-03-07. ↑ "Egypt, France conduct joint military exercise off the Mediterranean". africanews.channel. Retrieved 2016-03-07. ↑ "Egypt, France start 'Ramses 2016' joint military exercise | Egypt Independent". www.egyptindependent.com. Retrieved 2016-03-07. ↑ "France joins military exercise with Egypt - Africa - RFI". RFI. Retrieved 2016-03-07. ↑ "Egypt bombs Islamic State targets in Libya after beheading video". Washington Post. 16 February 2015. Retrieved 17 February 2015. ↑ "Egypt 'bombs IS in Libya' after beheadings video". BBC News. 16 February 2015. Retrieved 16 February 2015. ↑ "Libyan air force loyal to official government bombed targets in eastern city of Derna". Ynetnews. 16 February 2015. Retrieved 16 February 2015. ↑ "Egyptian air strikes in Libya kill dozens of Isis militants". The Guardian. Retrieved 17 February 2015. ↑ "SIRTE, Libya: Islamic State fighting in Libya's Sirte claims at least 19 lives - Middle East - McClatchy DC". McClatchy DC. Retrieved 23 June 2015. ↑ "Egypt Prolongs Role In Saudi-led Yemen Coalition". Defense News. Retrieved 2016-03-07. ↑ Defense, African. "Egyptian Navy, Air Force Operating in Yemen Offensive - African Defense". African Defense. Retrieved 2016-03-07. ↑ "Egypt navy and air force taking part in military intervention in Yemen: Presidency - Politics - Egypt - Ahram Online". english.ahram.org.eg. Retrieved 2016-03-07. ↑ Arab, The New. "Egyptian air force joins operation to retake Yemen base". alaraby. Retrieved 2016-02-03. ↑ "Scramble". www.scramble.nl. Retrieved 2016-02-13. ↑ "U.S. pushes F-16 project for Egypt despite Muslim Brotherhood purge of military". Worldtribune.com. 15 August 2012. Retrieved 20 August 2012. ↑ "White House resumes delivery of 12 F-16 fighter aircraft to Egypt". 1 April 2015. ↑ "Exportation du Rafale : les inquiétudes de l'armée de l'air". La Tribune (in French). 9 June 2015. ↑ Lert, Frédéric (16 February 2015). "Egypt officially signs for 24 Rafales, FREMM frigate, and missiles". IHS Jane's Defence Weekly. Retrieved 21 February 2015. ↑ "Egypt, France to conclude €5.2 billion deal for Rafale jets". France 24. 16 February 2015. Archived from the original on 16 February 2015. Retrieved 21 February 2015. ↑ Hoyle, Craig (13 February 2015). "Egypt picks Rafale for fighter deal". Flightglobal. Archived from the original on 13 February 2015. Retrieved 21 February 2015. ↑ "Dassault Aviation delivers first Rafales to the Arab Republic of Egypt". Dassault Aviation. 20 July 2015. Archived from the original on 21 July 2015. Retrieved 28 December 2015. 1 2 "Egypt Receives Three More Rafale Fighters From France". 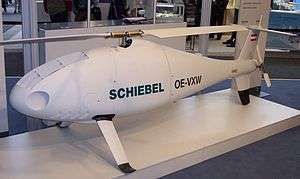 defenseworld.net. ↑ Hoyle, Craig (20 July 2015). "Rafale exports take off with Egyptian delivery". Flightglobal. Archived from the original on 19 November 2015. Retrieved 28 December 2015. ↑ News Desk. "Egypt interested in buying 24 MiG-35s from Russia". defense-update.com. Retrieved 14 November 2014. ↑ "Russia said set to sell its top fighter jets to Egypt". The Times of Israel. Retrieved 14 November 2014. ↑ "Russian-Egyptian contract for 46 fighters MiG-35". kommersant.ru (in Russian). 22 August 2015. ↑ "Egypt to Buy 46 Mig-35 Fighter Jets from Russia". deagel.com. ↑ "Russia's Landmark $2Bln Deal With Egypt for MiG Fighter Jets". sputniknews.com. ↑ "Системы наведения на цель ракет с МиГ-35 поставят в Египет в 2016 году". Novosti.com (in Russian). ↑ "Egypt bought 50 Ka-52 Russian helicopters." (in Russian). 23 September 2015. ↑ "Russia to supply 50 Ka-52 helicopters to Egypt in 2016-2018" (in Russian). 10 November 2015. ↑ "Ka-52 orders from Egypt." (in Russian). 25 August 2015. 1 2 "Sagem and AOI - Aircraft Factory sign collaboration agreement on drones for Egyptian defense market". 24 September 2015. ↑ "Un satellite Airbus-Thalès vendu à l'Egypte". 19 April 2016. ↑ "Russian Helicopters offers after-sales services to helicopter operators in Egypt". 8 December 2015. ↑ "Russian Helicopters delivered three refurbished Mi-8T helicopters to Egypt". 22 September 2016. 1 2 3 4 5 6 7 8 9 10 11 12 13 14 15 16 17 18 "World Air Forces 2016". Flightglobal Insight. 2016. ↑ "Украина обеспечит модернизацию многоцелевых Ан-74 ВВС Египта". interfax.com.ua (in Russian). ↑ "Arabian Aerospace - AgustaWestland delivers AW139 to Egyptian Air Force". Retrieved 24 December 2014. ↑ "Airbus receives from Egypt its first order of A400M". 5 October 2015. ↑ "Al Quwwat al Jawwiya Il misriya". ↑ "Armed Forces Overviews: Egypt Air Force". Scramble.nl. Retrieved 25 July 2016. ↑ "Egypt to get another E-2C Hawkeye". 19 October 2015. ↑ "KAMAN AWARDED CONTRACT TO ESTABLISH DEPOT LEVEL CAPABILITY FOR EGYPTIAN AIR FORCE". kaman.com. ↑ "China Again Tries To Pierce Gulf Defense Market". defensenews.com. 6 November 2015. ↑ "中国彩虹4B无人机在中东显威 专家却这样说". sohu.com (in Chinese). ↑ Joseph E. Lin (March 20, 2015). "China's Weapons of Mass Consumption". Foreign Policy. ↑ "ОАК ожидает первые экспортные контракты на Ил-76МД-90А через 4-6 месяцев после МАКС-2015.". Tass.ru (in Russian). 26 August 2015. ↑ "Airbus recibe de Egipto el primer pedido de un A400M tras el accidente." (in Spanish). 5 October 2015. ↑ "Egipto comprará hasta doce A400M a Airbus por 1.800 millones" (in Spanish). 23 November 2015. ↑ "Egypt may buy some 30 Ka-52K helicopters from Russia for over $1 billion". 24 September 2015. ↑ "Новинками нашего авиапрома интересуются клиенты "Рособоронэкспорта" и Египет" (in Russian). 26 August 2015. ↑ "Мы обезопасились от катастрофических последствий". migavia.ru (in Russian). ↑ "Корпорация "МиГ" поставит два истребителя МиГ-29М/М2 в Северную Африку" (in Russian). ↑ "Russian Helicopters confirms agreement with Egypt for 46 Kamov Ka-52 aircraft" (in Russian). 30 December 2015. ↑ "Lockheed Martin still sees the C-130J as being the solution to SAAF airlift capacity". defenceweb.co.za. ↑ "V H Tait". Retrieved 24 December 2014. Wikimedia Commons has media related to Air force of Egypt.